Worries grow for the health of a wheelchair-bound professor awaiting trial for alleged Maoist links. New Delhi, India – It was January 2 and the residue of the new year celebrations still hung in the New Delhi air. But for a group of students, academics and activists converging on the streets of the capital, the mood was anything but celebratory. 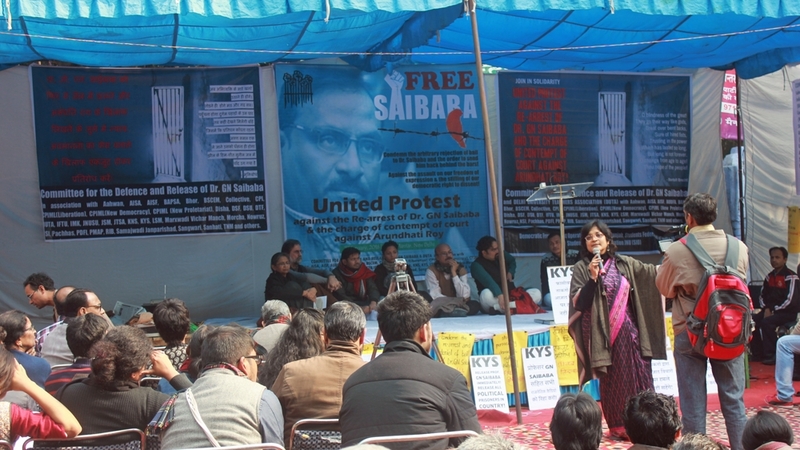 The anger at this rally in solidarity with GN Saibaba, a wheelchair-bound University of Delhi professor currently imprisoned in the Nagpur central jail in the western state of Maharashtra, was palpable. More than 100 people had gathered at Jantar Mantar, a spot in the heart of the capital that is popular with protesters, holding banners and shouting slogans. 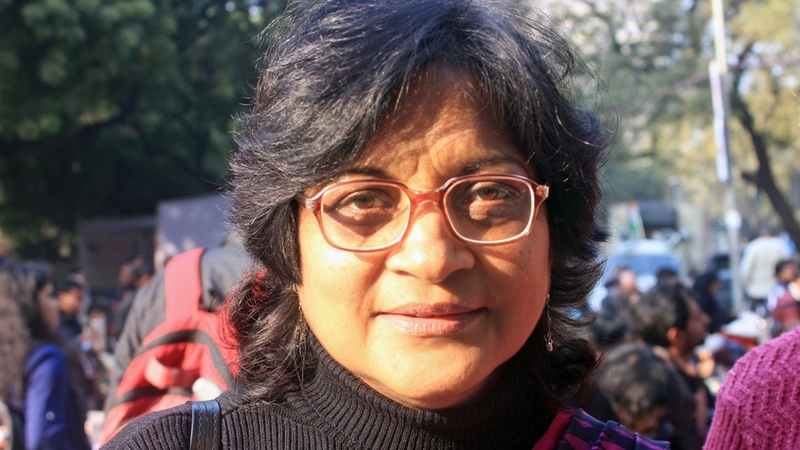 “He is a well-known civil rights activist who has spoken up for all the marginalised sections and participated in cases involving Dalits, tribals, women and [the] underprivileged,” explained Nandita Narain, the president of the Delhi University Teachers’ Association and a professor of mathematics at St Stephen’s College. She described the 49-year-old professor as “an outstanding teacher and a scholar”. On May 9, 2014, a team of plain-clothed policemen from Maharashtra State took the professor, who has been paralysed from the waist down since suffering childhood polio, from his car. The following day, when the police called his wife to inform her, he was already being flown to Nagpur to appear before a judge. Charged under various sections of the Unlawful Activities Prevention Act for allegedly being in touch with Maoist leader Ganapathy, the professor of English literature at Ram Lal Anand College of Delhi University was sent to jail. Saibaba stands accused of being a member of the banned Communist Party of India (Maoist) and an ideologue and recruiter for the Maoists, or Naxals as they are locally called, who have been fighting Indian security forces in the mineral-rich tribal areas of the country for decades. While the Supreme Court has ruled that somebody cannot be arrested for being a member of a banned organisation or sharing its ideology, the police often introduce other charges intended to show that the accused has actively participated in “anti-national” or Maoist activities. AS Vasantha, Saibaba’s wife, says the police have carried out a “witch-hunt” against her husband. “They have framed him because he campaigned against mining in the tribal areas that has displaced tens of thousands of the local population,” she added. During the 1990s, Saibaba campaigned against extrajudicial killings by police officers in his home state of Andhra Pradesh. He took up the cause of India’s tribal groups after moving to Delhi in the 2000s. As part of this, he spent time visiting the tribal areas of Chhattisgarh, one of the poorest parts of the country and among the worst affected by the Maoist insurgency. Saibaba has been a vocal critic of the government’s military operation against the Maoist rebels since 2009, when the then Congress Party-led government launched Operation Green Hunt to suppress the armed Maoist rebellion in the states of Chhattisgarh, Odisha, Andhra Pradesh and Maharashtra. “He spoke against Operation Green Hunt, mobilised people and campaigned for tribal rights at national as well as international level. 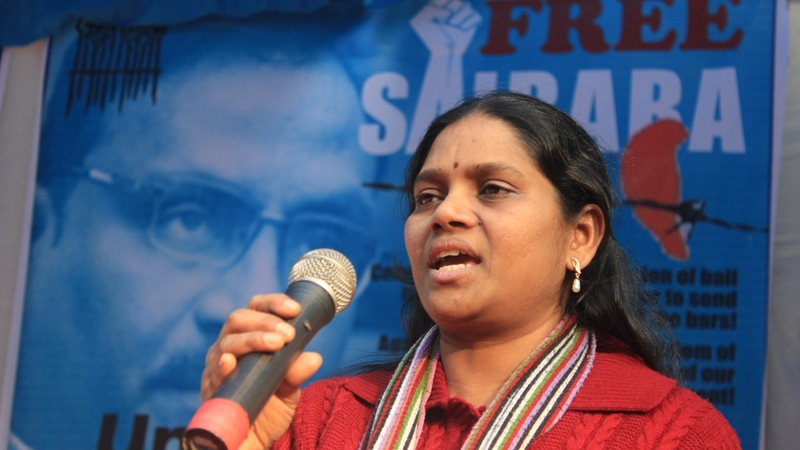 My husband has been targeted because his campaign has led to withdrawal of investments in the region by MNCs [multi-national companies],” Vasantha said. Hem Mishra, a 32-year-old student of Chinese studies at Jawaharlal Nehru University, who also stands accused of being a member of the Communist Party (Maoist) but has been out on bail since being arrested in August 2013, says Saibaba was targeted because he spoke out against military action in the tribal belt. The authorities accuse Mishra of acting as a courier between Saibaba, who was based in New Delhi, and the Maoists in the tribal areas, and say that it was him who revealed the professor’s alleged links with the Maoists during his interrogation. Mishra denies both claims. The police have accused Saibaba, along with eight others, of working with the Maoists. The first to be arrested was activist Prashant Rahi in December 2007. He was granted bail in 2014. Two others have absconded. Of the six arrested only Saibaba remains in jail. Vasantha has questioned why her husband is not out on bail while the others are. Ramesh Dhumal, the officer from the Anti-Naxal Operation Department who leads the case, told Al Jazeera that the police had opposed the granting of bail for all of the accused but that the court had only denied it for Saibaba as his case was considered the most serious. The professor was briefly granted bail last July on medical grounds after 15 months in prison had exacted a heavy toll on his already poor health. But after he had been out for nearly five months, a local court in Nagpur cancelled his interim bail and ordered him to surrender within 48 hours. He had been undergoing treatment at the Indian Spinal Injuries Centre in New Delhi when that ruling came through. Vasantha says that Saibaba’s treatment in prison – where he has been held in a type of windowless iron enclosure with no fan, known as Anda, meaning egg-shaped, where inmates are kept in solitary confinement for up to 15 hours a day and which are usually reserved for the most dangerous criminals – has only worsened his medical condition. She says his left hand is now partially paralysed and, on January 5, Saibaba himself wrote a four-page letter asking for urgent medical treatment, without which he says he will lose the use of his left hand. Hany Babu, a member of the Committee for the Defence and Release of Saibaba, which includes students, civil society groups and some left-wing parties, as well as academics from Indian universities and colleges, says he believes that the Nagpur bench of the High Court has failed to appreciate the severity of Saibaba’s medical condition. Narain, of the University Teachers’ Association, said that Saibaba’s health has deteriorated rapidly and that he has developed further medical conditions, including high blood pressure. But the police have said that they are providing all of the necessary facilities for somebody in Saibaba’s condition and denied that his health is a cause for concern. “[The] Honourable High Court rejected his bail application concerning medical ground[s] as well as [on] parity ground[s] and merit ground[s]. [The] Honourable Sessions Court rejected bail application thrice on the above ground[s],” Dhumal said. “Doctors don’t say he is going to die. In the medical report submitted to [the] High Court, doctors suggested only for physiotherapy. His heart condition is also normal,” the officer continued. Saibaba is not the first activist to be targeted over his activism in or about the tribal areas, particularly Chhattisgarh, where the Maoist rebels are at their strongest. Santosh Yadav, a local journalist based in the state, was arrested last September for his alleged links with the Maoists. Binayak Sen, a prominent civil rights activist, was arrested in 2007 for allegedly aiding Maoists in Chhattisgarh. He was granted bail after spending almost two years in jail. But, in 2010, a local court in Raipur sentenced him to life imprisonment for sedition. After he approached the Supreme Court, his conviction was thrown out and he was given bail. His appeal in the Chhattisgarh High Court is still pending. Legal experts question not only the failure to grant Saibaba bail but the very grounds for his arrest. “Membership by itself is not something you can hold against a person. [At the] end of the day, he [Saibaba] is not saying he won’t stand trial. The trial will continue, the bail is something decided upon pending a trial,” Indira Jaisingh, a senior Supreme Court lawyer, told Al Jazeera by phone. “You can only be denied bail if there is a real possibility that you might evade the trial or if you are repeating the crime,” Jaisingh explained. The author and activist Arundhati Roy was charged with criminal contempt after she wrote a scathing article asking why some of those actually convicted and not merely accused of committing mass murder during the 2002 Gujarat riots were granted bail while a disabled professor has been denied it. Babu Bajrangi, the leader of the Gujarat wing of the Hindu nationalist Bajrang Dal organisation, was sentenced to life for his role in the Naroda Patiya massacre, during which 97 Muslims were killed, and Maya Kodnani, a member of the state cabinet during the deadly violence, was sentenced to 28 years for orchestrating the Naroda Gam and Naroda Patiya massacres. But both have since been granted bail on medical grounds. Others have also come out in defence of Saibaba. Markandey Katju, a former Supreme Court judge, wrote in a blog that his detention was a flagrant violation of his civil liberties. 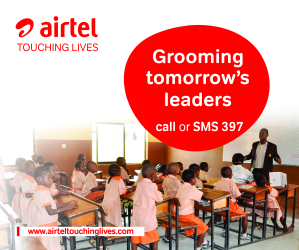 But the police insist that Saibaba is an active member of a banned organisation. “After study of [the] retrieved data from [Saibaba’s] seized hard disk and pen drives, we came to conclusions that Saibaba is a high-rank bearer of CPI (Maoist) urban cadre,” Dhumal said. Vasantha disputes the police claim about what was found during their search. “They took away our laptop and hard disks and pen drives without a seal. But actually they had 15 years of research material. 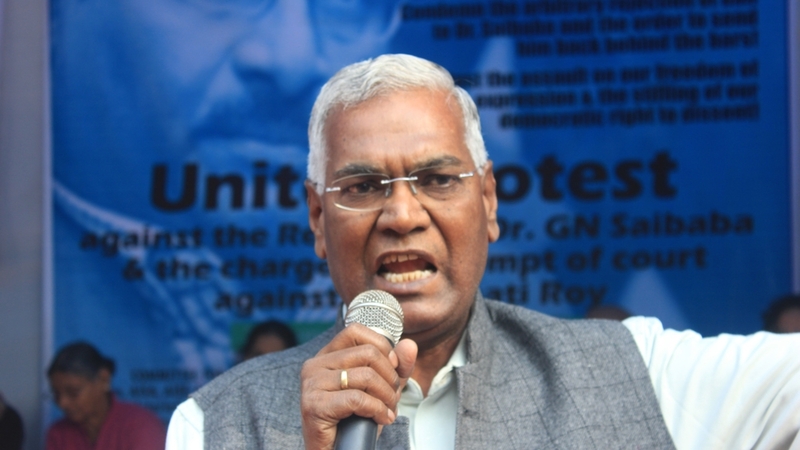 At least five [or] six books were planned on Dalit issues. My personal photo albums and my daughter’s data were also taken away. They have not returned them yet,” she says. Saibaba’s trial began last October, with the defence and prosecutor presenting themselves before the court. But the slow pace of India’s judiciary means it might take months or even years before the verdict is announced. He is, after all, one of the nearly 300,000 “undertrials” languishing in jails across the country. Of the more than 400,000 people in India’s 1,387 jails, 68 percent are “undertrials”, meaning that they have not yet been found guilty of a crime. For now, Saibaba’s lawyers have filed an appeal in the Supreme Court, which will decide whether the disabled professor will be granted bail or forced to remain in prison awaiting trial. Posted by Above Whispers on February 9, 2016.